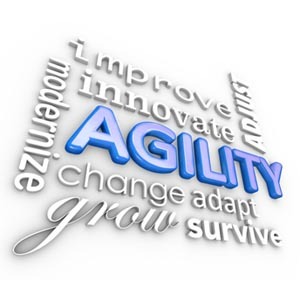 The goal of the Agile Cultural Change workshop is to provide participants with a solid understanding of the opportunities any organization can gain from improved agility as well as an appreciation of the risks and challenges of maintaining the status quo or a “go slow” approach to change. There are technological changes anticipated in the coming years that will disrupt entire industries and remake the competitive landscape. This program provides a broadband view of the opportunities as well as providing practical insights and applications for every participant who takes the program. This is a 2-day workshop, but can be customized for your needs. Learn about the technological disruption impacting the world from the 4th Industrial Revolution. Estimates are there will be more change in the next 20 years than in the last 300 years. How may that impact your organization? It is human nature to be resistant to change. Explore the business case for shifting to an agile organization and the risks of maintaining the status quo. Capitalizing on a rapidly changing environment requires a workforce with new skills and greater authority to make decisions. We explore strategies to develop the RIGHT workforce to meet the organization’s needs in the future. This includes the use of data-driven tools to recruit, on-board and develop a high performing team. In an agile organization the role of leadership needs to change. We explore the elements of leadership as a service. Leadership serves the organization in delivering its value to customers. What is your organization’s purpose? Why should your employees care about the success of the organization? We review several trends that will enhance employee recruitment and retention. This is an interactive workshop with discussions, hands-on exercise and opportunities to analyze your organization’s current state as well as the steps needed to achieve greater agility. Each participant will complete a memorandum based on the discussions and findings of the course to share with their manager and colleagues. This process will more fully integrate the concepts from the workshop into your thinking and provide your organization with a valuable artifact to support ongoing discussions. Explore the benefits of analyzing team dynamics through the use of personality assessments. Realize how such knowledge will improve communication, productivity and trust.